What qualifies as a good New Year's Resolution? Each year, so many of us come up with stereotypical New Year's resolutions that we often make excuses for not keeping up with by the end of the month. Part of the problem is we spend so much time coming up with the "best" resolutions that we lose sight of what is most important to us right now -- the things we need to get through the day. We aspire to lose weight, eat better, work out daily, etc. Don't get me wrong...these are all great New Year's resolutions, but there doesn't seem to be any immediate gratification that is dear to the heart. So, this year, I offer my resolutions to you. These are resolutions that I have been seeing the results of almost immediately and I think have made me a better person already in 2018. 1. Start looking for progress rather than perfection -- you'll become more productive, not picking at details that no one else would notice. 2. Be honestly grateful -- when you're honestly grateful for a person or thing, that gratitude lasts. Don't just be grateful for one gesture that someone has made -- be grateful you've crossed paths. 3. Work smarter and not just harder -- At the end of the day, you'll see just how capable and worthy you still can be rather than being tired and exhausted. 4. Take care of the "self" -- if you aren't healthy and happy, there's no way you can help others be healthy and happy. 5. 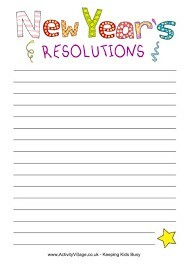 Don't make too many resolutions -- you'll feel better that you've accomplished 5/5 of your resolutions rather than 5/10. Happy New Year! We all wish you and your loved ones a healthy 2018 and beyond!